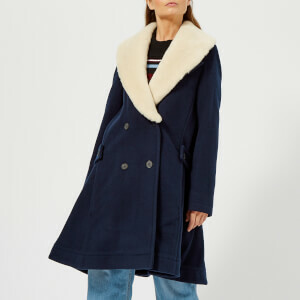 The ‘Elodie’ maxi coat from prestigious outerwear brand Mackage is crafted with a luxurious blend of wool and cashmere and designed with a slightly asymmetrical front. 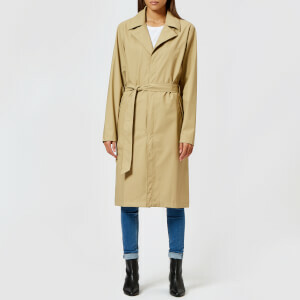 Fastening with a button closure, the navy coat comprises a semi-fitted silhouette with a funnel collar, epaulettes and buttoned cuffs. Leather-trimmed side pockets feature to the front. A branded tab to the nape completes the design. Fully lined. 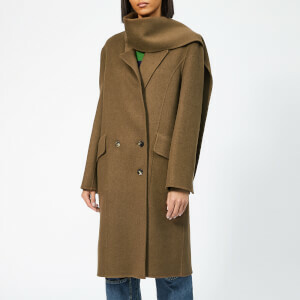 Main: 70% Wool, 20% Polyester, 10% Cashmere. Lining: 98% Polyester, 2% Elastane.